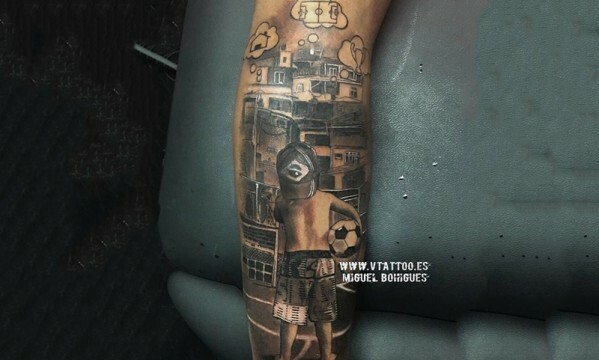 Neymar's new tattoo: His childhood dream! You Are Here: Home » Neymar news: 2018-19 » Neymar’s new tattoo: His childhood dream! It’s definitely not his first tattoo, but this time around, Neymar decided to go with a more original approach. 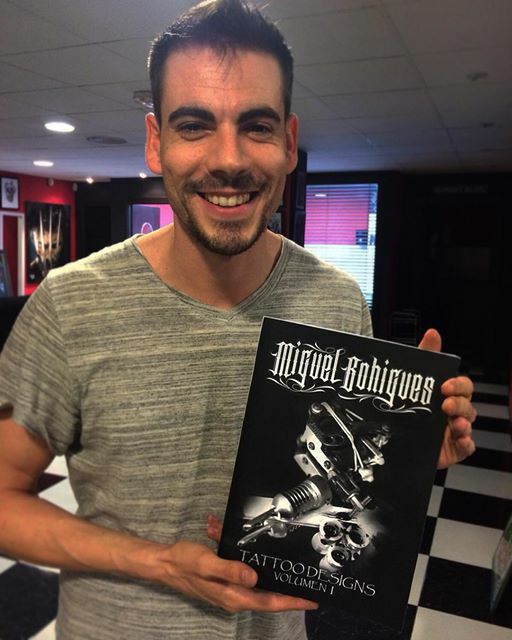 The Barcelona superstar went to the “V Tattoo” studios in Spain and trusted his friend Miguel Ángel Bohigues to design his new tattoo in his left calf. 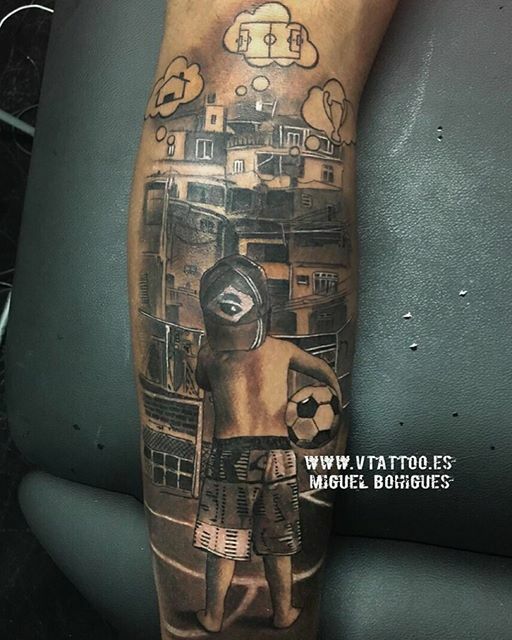 The tattoo represents Neymar’s childhood dreams, as we see a young boy standing in front of a Brazilian “favela“, holding a football beneath his right arm and with a Brazilian cap on his head. On the top of the drawing, we can also see Neymar‘s main goals and dreams represented in 3 different graphics. There’s a house, a football pitch and trophies coming out of the little boy’s thoughts, symbolizing everything that the now 23-year old aspired to get when he was younger.